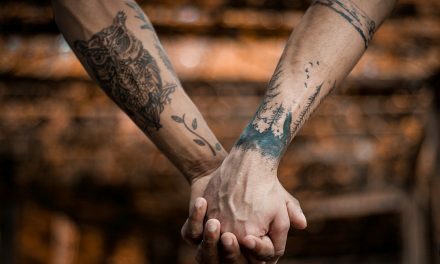 Despite 42% of American adults having at least one tattoo it’s still common for workplaces to have company policies that require employees to cover their tattoos up. Many reasons are given, such as health hazards, looking unprofessional, not fitting in with the company’s image and even scaring customers away. These are all outdated excuses that hold no place in modern society. Many people with tattoos will cover their tattoos up during interviews, worried that it will affect their chances of being hired compared to those without tattoos. Is this necessary in today’s society where tattoos are the norm? 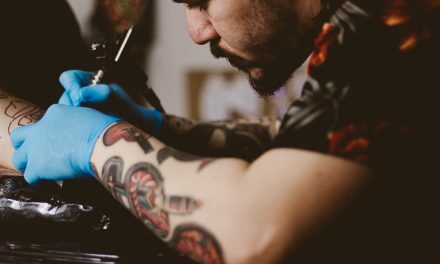 Many employers will claim that tattoos are a health risk, particularly in health care professions and the food industry, but it’s completely untrue for any healed tattoo. For the first 2-3 weeks of the healing process tattoos should be treated the same as a cut when you’re at work. Your tattoo will be peeling at this time, so covering it will stop the skin falling off where it shouldn’t, as well as protecting it from bacteria for your own safety. However, if your place of work has no policies or reason to cover cuts or abrasions, there’s no reason to cover healing tattoos either. Once tattoos are healed they pose no health risk at all, so this isn’t a reason to cover them. 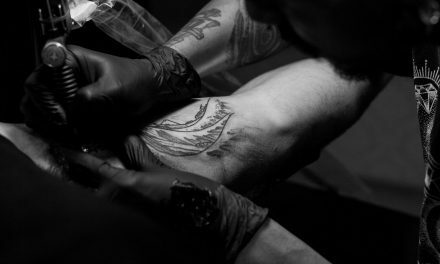 Many businesses believe that tattoos look unprofessional and customers will change their opinion of the company based on the appearance of their employees. However, 97% of American adults say they wouldn’t change their current shopping habits based on visible tattoos or piercings. As long as quality and competitive pricing remains the same, tattoos and piercings didn’t make a difference to them. It’s time for businesses to accept that tattoos do not affect a person’s skills, qualifications, professionalism or how hard they’re willing to work. There are some body modifications that are considered extreme. Many businesses feel that if they allow tattoos then they should also allow extreme body mods. The difference largely comes down to the purpose of the modification. 86% of adults say that they have tattoos that resemble family, memories or their personal values, and the majority of the rest get them because they find them aesthetically pleasing. Extreme body mods are usually associated with animals, such as split tongues, sharpened teeth and horn implants, which are universally scary images. 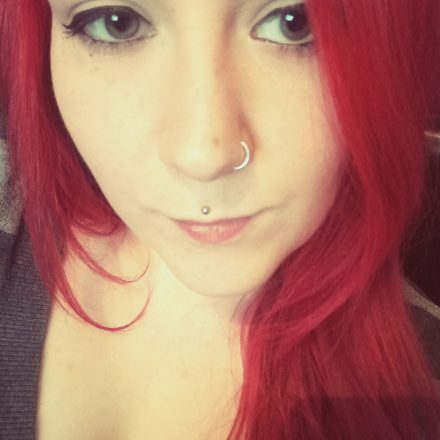 Tattoos do not fit into this category, so allowing them in the workplace is not the same as allowing extreme body mod. How does having a tattoo affect your chances of getting hired? 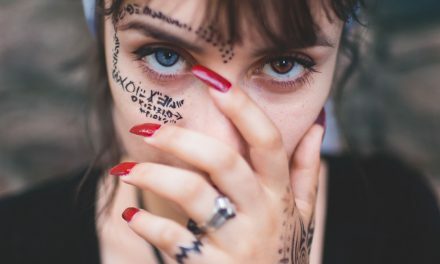 There’s a lack of evidence-based reasons for a business to ask you to cover your tattoos up, but what if they don’t hire you in the first place? 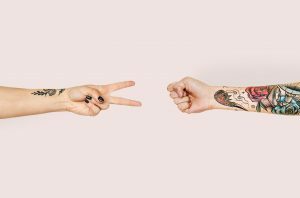 Research from 2014 shows that 22% of employee’s decision wouldn’t be affected by if the person had tattoos, 0.3% would be more likely to hire them and the rest would be less likely to, depending on the role and where the tattoos were. What’s more, 51% of the general public said that they take people with tattoos less seriously. However, more recent research from 2018 suggests that over just four years people’s opinions have changed. They found that visible tattoos were not linked to employment, wage or earnings discrimination. Wages and annual income were not distinguishable between those with tattoos and those without. There is only one time when an employer can reasonably ask you to cover up your tattoos and that is during the first few weeks of the healing process. After this, there is no valid reason at all. 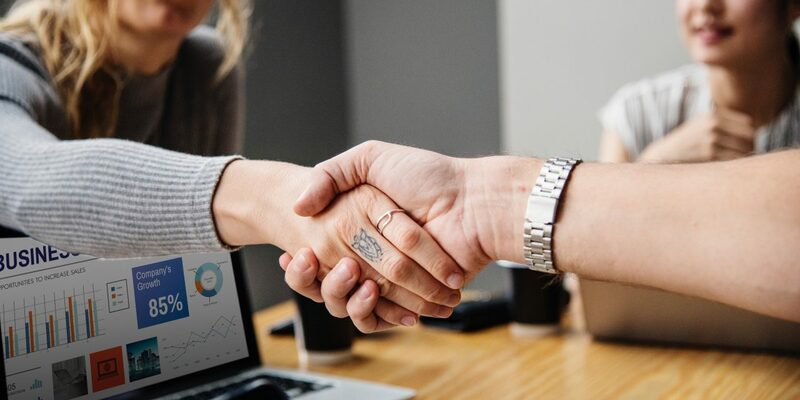 Consumers place customer service, quality and pricing over what the person assisting them looks like, especially if they’re helpful and friendly. Having visible tattoos has become so normal that it’s unlikely to affect your chance of being hired, which is great news for tattooed professionals and job seekers.